THINK BEFORE YOU PRINT - to participate in an eco concious society please consider your personal office needs. Conserve paper and avoid waste. Think please before you print. Thank you. 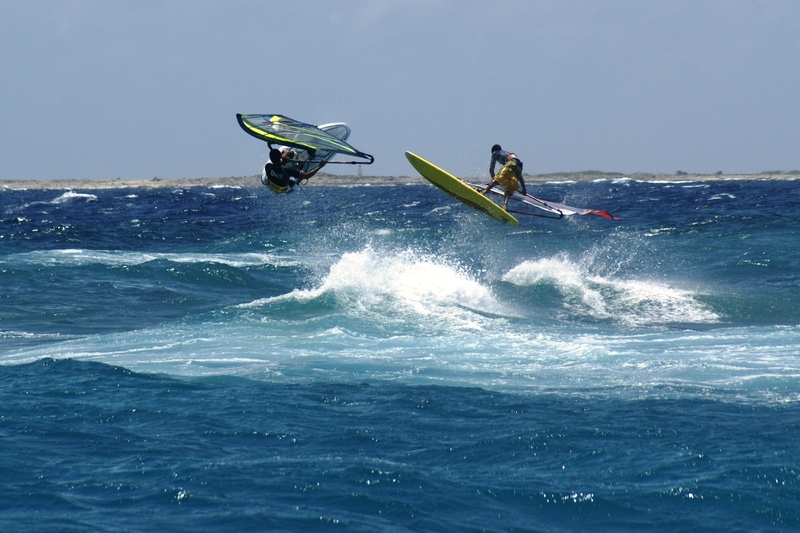 Bonaire – Thanks to a Caribbean wide storm, the swell was enough to create a challenging wave event a Lac Cai on Saturday. 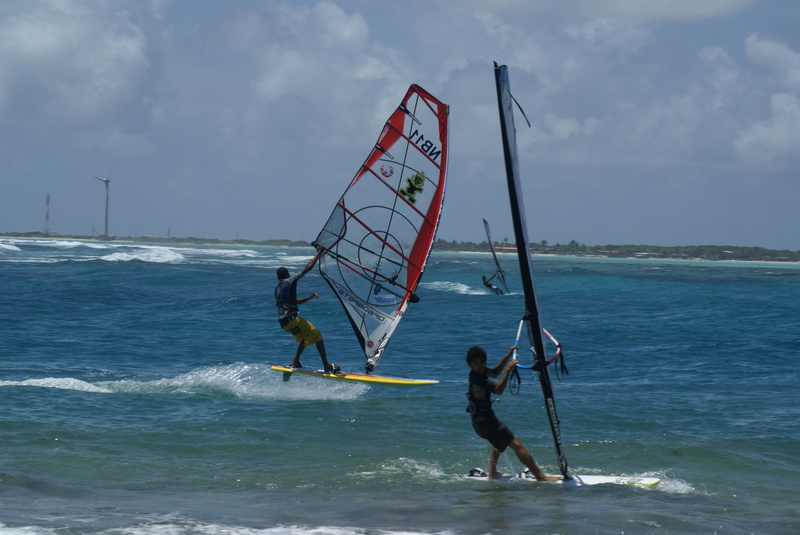 The local contingent of windsurf youth and pros and a few international riders were on hand to compete in the annual wave challenge. Italian rider Davide Giardini, studying at CIEE was on hand to compete. An impressive group of junior riders were eager to sample the afternoon swell. 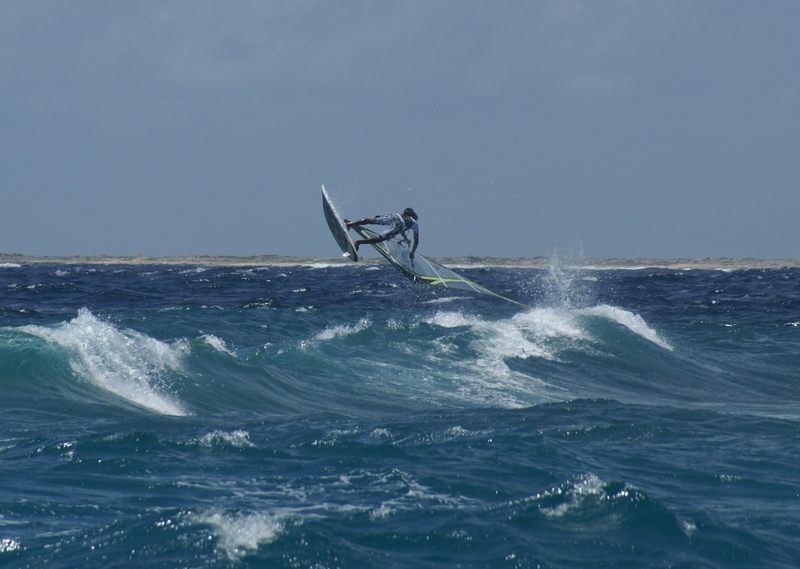 Local pros Taty Frans, Kiri Thode and Tonky Frans each performed a set of freestyle wave feats including forward loops, table tops and more. When they were up, the junior division dazzlied the crowd in the big swells. Young Dylan Robles proves practice makes perfect. His skill in the waves has vastly improved since last year’s event. Top gun Bjorn Saragoza wowed the crowed with some sick moves. Thanks to the following supporters who provided prizes, event support and cash: Fast Forward, Jibe City, Caribbean Wind & Sun Vacations, Bonaire Windsurf Place, AB Car Rental, Bonaire Seaside Apartments, Antillean Wine Company, The Island Supplier, Divi Hotel Bonaire, The Red Cross and Aquaspeed. I was at dinner with friends last night. They all own houses on the north shore where we experienced more wave activity. Their impressions were the March 2008 storm surge/waves were stronger than Hurricane Felix last Fall. Things are quieting down but shore diving was very challenging and few trucks were out on the south Wed. until today. 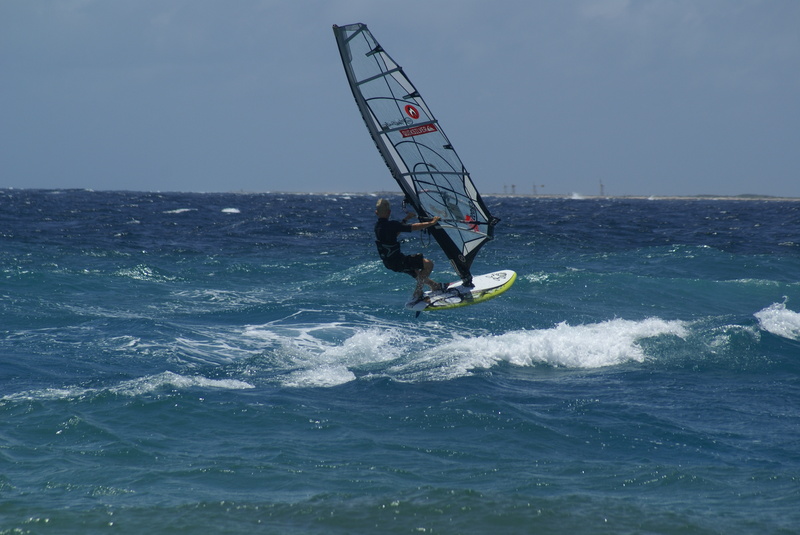 Elvis Martinus is running a windsurf wave event at Lac Cai. Off to watch the action. The swells along the West coast are quite big. The water levels are high. Night snorkeling was cancelled for my clients due to swells and poor vis. The Wave Challenge run by Aquaspeed is slated for Sat. Yesterday I was on my Stand Up Paddle Board (Starboard) at Red Slave with Roger from The Place and Beth Winkler from Banana River (FL). What a blast but man I am sore from riding the waves and paddling. Not a huge swell but good fun. Today it seems smaller and that is puzzling as the entire Caribbean is expecting heavy surf mid week. Winds are up which is great for the special ABK Medical MD Clinic being held at Jibe City. Heading to Lee’s for Guinness and DJ Shrek. Tomorrow’s my B Day….Stand Up Paddling for sure. 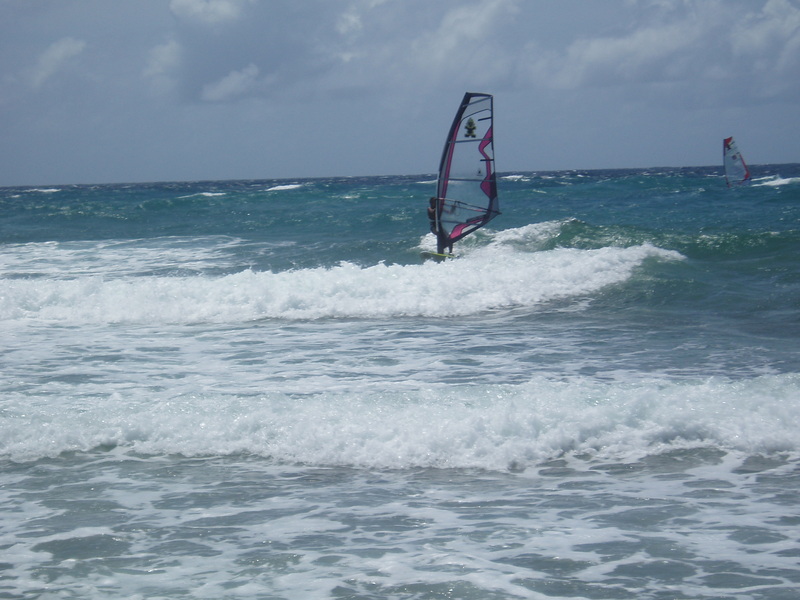 As Eli, our Antigua correspondent pointed out, there will be wicked waves mid week. Please everyone, post some photos. Inquiring minds like to see…Looks like 2 meters here in the ABC islands but the other islands 4 meters PLUS. Yesterday was a picture perfect beach day. I took the day off to go Stand Up Paddle Board at Lac Bay. I was on a mission to find a sea turtle but instead had a small barracuda following me around. I sat with friends and “talked story” and then took a swim and laid in the sun for a bit. It’s been a long time since I enjoyed the sea having had massive amounts of work. The winds are abysmal and the water levels are low so windsurfers are not happy. Today the sky is very dark with intermittent showers. Pray for wind! What a day. I woke at 7 as I had a bird watching tour arranged with the fabulous Jerry Ligon. I looked outside to see a very dark sky and still air. Not a breathe of wind. It felt like it was in the low 70’s, I kid you not. While out on our field study I swear I had goose bumps. We started near Abraham Blvd and went all the way to Rincon. In 5 hours I saw some incredible birds and landscape. I counted about 35 different species. Honestly I was not too excited about this tour but was invited. Now that I have had this incredible experience I am a hooked bird watcher. Jerry is an incredible biologist, a witty story teller and a very interesting bird geek. I HIGHLY recommend his tour. 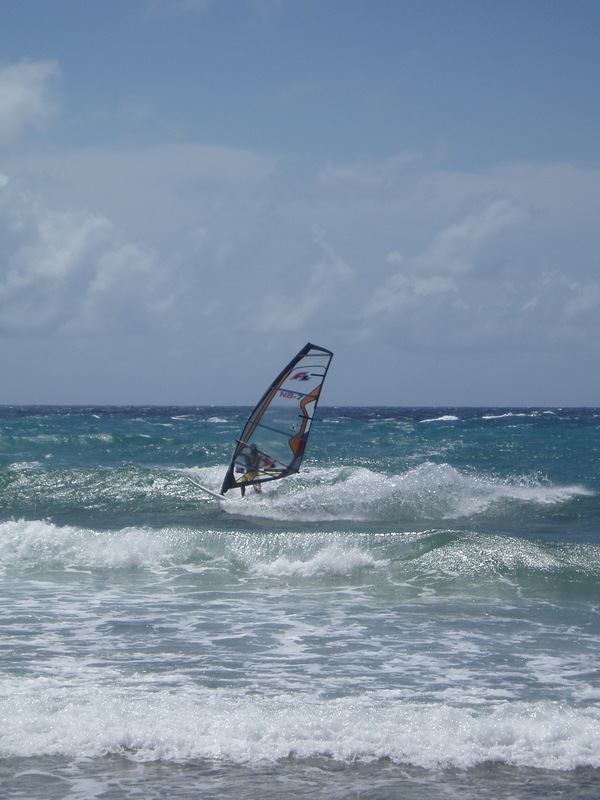 The sun is out but the winds are miserable for my many windsurfers here on island. There are light gentle breezes but man, it’s not boding well for the next ABK Board Sports Clinic and for the many visiting windsurfers. I checked www.windguru.cz and much of the Caribbean is the same. My last Winter Singles Week is this week. We had a fabulous dinner at Wil’s Tropical Grill and then drinks and cigars at Little Havana. Piek and Antoine have an amazing set up. Steve the bartender is the man. I was up for a 5 AM meet and greet at Continental today. Back for a nap and then a pool party to celebrate my friend’s b day. Tomorrow we hit Capt. Don’s Habitat for Rum Punch Party and Moogie. Hope for rain and a nudge more wind? I woke to pounding rain. Ran outside, lifted the lid to my water barrel to catch the precious water. The sky remained dark all early morning bringing in more heavy rains. Now, the sky is clearing and the birds have a chorus of song. Windguru reveals light winds for the days to come. Too bad as hoards of windsurfers arrive this weekend for clinics and sailing. This is my last Singles Week for the winter of 2008. Dinner tonight at Wil’s Tropical Grill, one of my favorites. 2 star Michelin chef Wil and his wife cook up a lovely dining experience. - Finally some weather to chat about.. The skies are dark yet no rain. The winds are fresh but it’s hot. The windsurf area is inundated with massive amounts of tourists as there are two cruise ships in port bringing over 5500+ people on an island of 14K. You can imagine. Was in Antigua for the weekend. Spent the day on Choke on a Bone, a 27 foot motor catamaran. The wind was strong and the seas pretty wild. The swells near Cades Bay were massive. We went to Rendezvous for a swim but the sea was so rough and dark, I chickened out. There was intermittent rain showers all weekend which I LOVED coming from dry Bonaire. 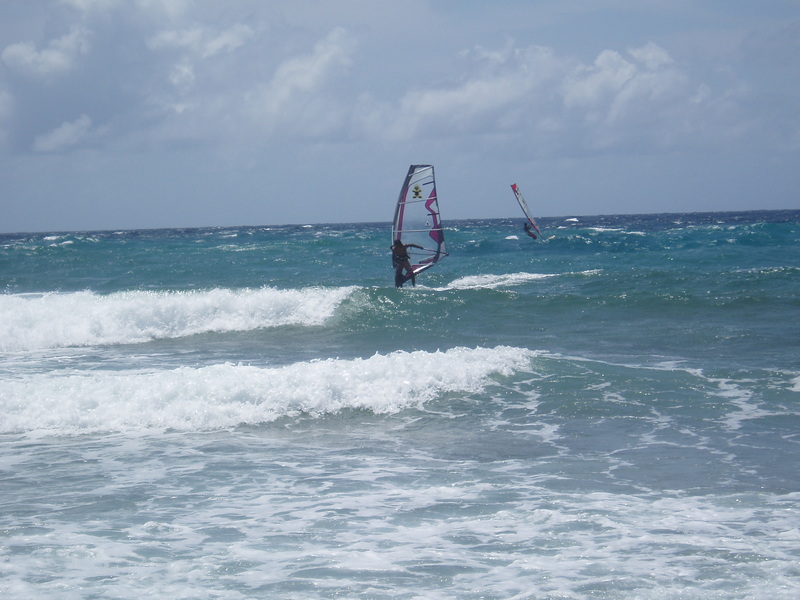 Monday Jabberwock Beach was FULL of kiters enjoying the strong trade winds. 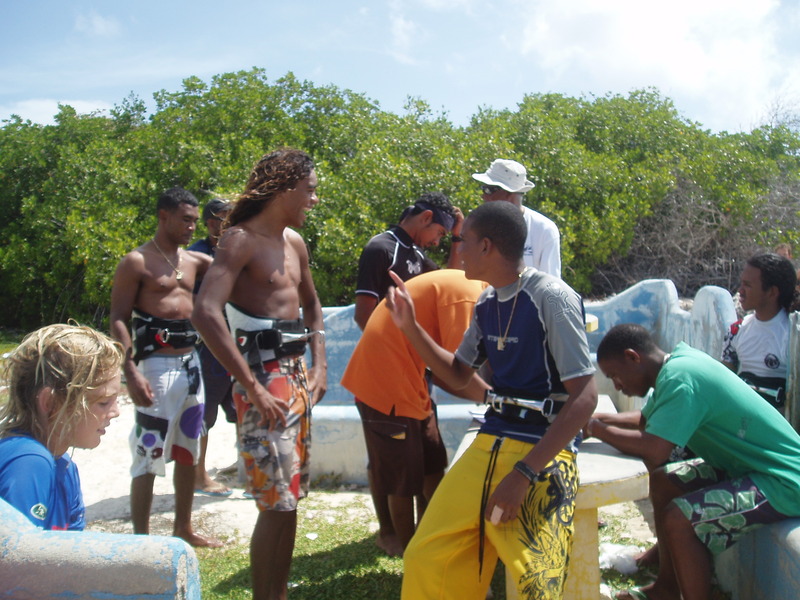 Kite Pro Andre Phillips was at Adam Anton’s Kite Antigua shop hanging out. Lots of tourists feeling the breeze. Local windsurfer and instructor Patrick Scales was on hand rigging some small sails. It’s nice to get off island to go to another island..
Not much to report aside from our typical windy weather. Today, a dark sky covered the island with intermittent rain showers. I saw a lovely rainbow which warmed my sad heart. Valentines Day Week my cat Wanda came home injured. The vet sutured her up and kept her for 3 days. On day 4, Valentines Day, she escaped. I will be back on my Stand Up Paddle Board soon. Life is good! The wind absolutely shut off. Today the horrid Crown Princess is in with the masses descending on our lovely beach at Sorobon. They are stepping in the sea grass tromping on the baby conch and other creatures in what was once a safe island nursery. The sun is blazing and the landscape is green from previous rain. It’s a fine day for a snorkel or dive in paradise. I was in Antigua for the weekend…it was a lovely time seeing old friend, liming, working and exploring. The weather was rainy and grey but a welcome change living in mostly dry arid Bonaire. 18 years ago I lived on Antigua..so much has changed in that time but what remains is a joyful spirit amongst the people, lovely music and culture, and a good island vibe. Sadly some experiences marred my stay. There are simply too many starving dogs on the island..I hope and pray PAAWS and other animal groups gain support to hold island wide sterilization programs. The weather has been rather monotonous but today change a came. I went out on my stand up paddle board despite a horrific cold. The winds were light but it was fun until the weather shifted. The sky became very dark and the winds blew in heralding in some major tropical rain. Due to heavy rains and inclement weather the Annual BSaF End of the Year Race and Fishing Tourney was postponed until Sunday at 9 AM. The winds are strong. Last night the weather was wild with tropical gale winds, lightning and heavy pelting rain. It was dushi for sleeping. Peaceful weather conditions ….yet it is a busy time for all preparing for the upcoming season. The sky is grey and thunder is booming towards Curacao. The radar shows quite the blob overhead. It’s a wait and see kind of day. I am supposed to have the afternoon off to have a well deserved beachside massage at Luna Massage at Bonaire Windsurf Place. The weather in Bonaire remains funky. Today there was one hour of intense rain, wind and a wind reversal. The wind toppled over chairs and made a mess of my garden. 5 miles away in Santa Barbara nothing. Please excuse my Papiamento..water is awa..not awe which is today..correct Jeanne?? Holy smoke, what a morning..around 3 AM I woke to heavy wind, cracking thunder and rain. The rains were torrential. I felt bad for the passengers loading onto the KLM out on the tarmac. I had to go outside and rearrange the dog’s beds so they were out of the storm. It is still raining and the sky is dark. Time to do some cleaning and work. It’s the bottom of the 8th inning and I am watching the game on Telecuracao. Intense rain bands are passing sending hopi awe akin a Belnem. A dark cloud emerged south of Sorobon/Lac Bay. The winds picked up and the windsurfers sprang to attention hopping on their boards to get the winds from this squall. Heavy rains drenched the beach. The skies cleared and not a breathe of wind with sunny skies. Kunuku is a Papiamento word. It can be translated to refer to the countryside, a farm, a weekend house, the outback…it has been references. Thanks for asking.. I put up new curtains so finally can sleep in the morning better. I woke around 6 to heavy rains so promptly returned to dreamland. At 7:30 I took the doggies thru the kunuku to the sea for their Sunday swim. The landscape was littered with puddles suggesting it was indeed a heavy rain. Now the sun is blazing and there is not a breathe of wind. Time to head to the sea for a morning snorkel. For how long?? Since Regatta ended Sunday the winds came in and have been cooling the island. It is a lovely refreshing breeze untypical of Oct. I looked ahead on www.windguru.cz and notice the doldrums are heading back. Time to hibernate, clean the house and read books. There is a blob East of T and T. I wonder if that is our next weather system? Today is a picture perfect day on Bonaire. Light puffy clouds, breezy conditions and lovely sun. 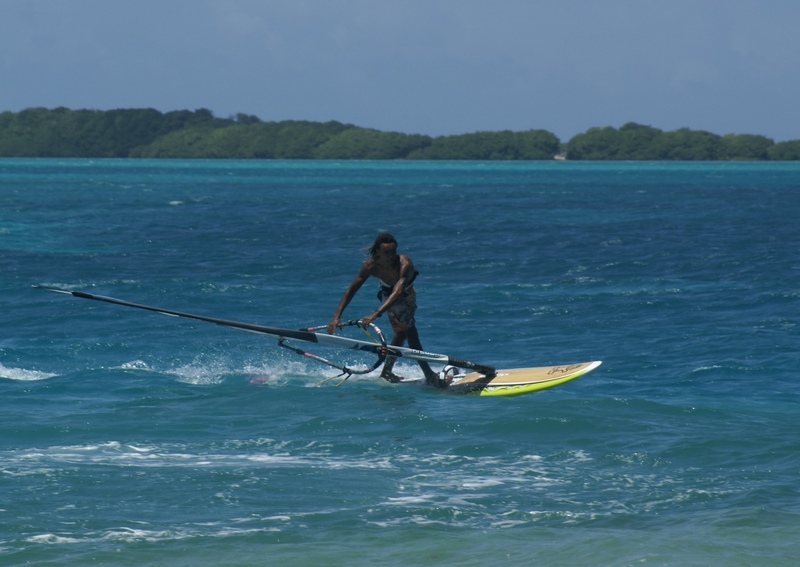 It is an ideal day to windsurf, kite, snorkel and dive. Well, I am getting a lot of reading in. I curled up day two on my bed and read a second book. The skies are dark and rain has descended upon Bonaire all morning and now into the afternoon. The dogs are chilling, the birds are playing in the puddles. It’s a curious day. I love it but feel bad the Regatta participants. There is a blob coming close to Bonaire. Today the skies are dark and the air is heavy with humidity. We had some showers in the wee hours of the morning. All is still. 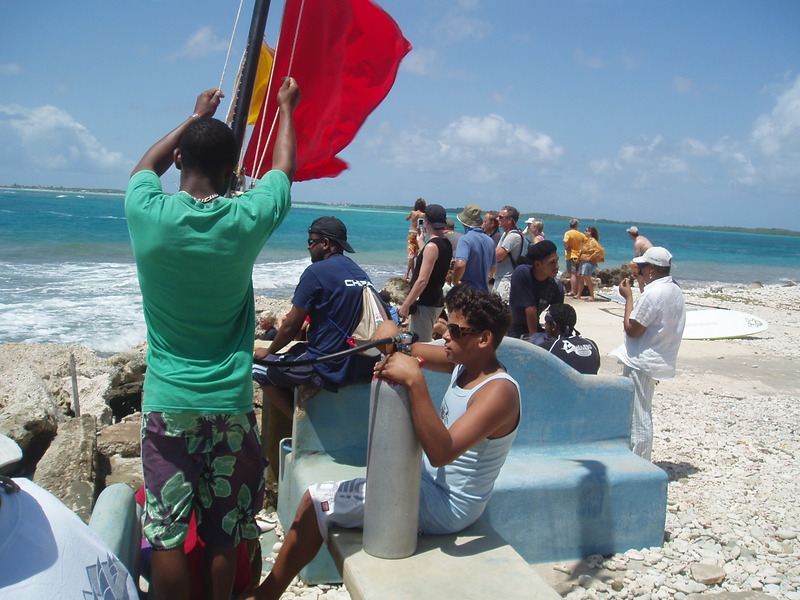 Lazy hot windless days for Bonaire’s 40th Regatta. It’s not too comfy here. I’m a big fan of reading all the article about the weather. At 10.21 it is still raining. We had thunder and lightning too. The winds will pick-up for all our sailors who are preparing their first start today. During this quiet weather period let’s reflect on the sea creatures. Albatross are dying due to long line fishing. Many species will soon be facing extinction. Please ask me about travel insurance to protect your vacation investment. It is officially hurricane season. Buy your insurane BEFORE the hurricane is named to be covered. Even if you are traveling outside the hurricane belt to the ABC islands, you cross the islands an flight travel can be interrupted. Plan your trip carefully purchasing the appropriate coverage. Batten down the hatches..this could be devastating. Please take all precautions and post when you can. Prayers..
My friend reports 1.5 inches of rain in Sabadeco. He thinks he heard the KLM land?? Lots of noise at the oceanfront, storm surge. A report from Punt Vierkant would be interesting. Felix is now a Cat. 2 hurricane. I got an email 20 min. ago from Belnem. BON still has electricity. The winds and rains are ramping up. Liz, what’s happening in Hato? Eye is expected now to pass just north of us around 3am. Find press release issued by the Island Government attached. A press conference was held this morning by the Governor, more focused on advising the community to be alert. n The center of the tropical storm is expected to pass around 2am. n Prior to that, the island will experience a lot of rain and wind already. These are the two factors that need to be taken into account. 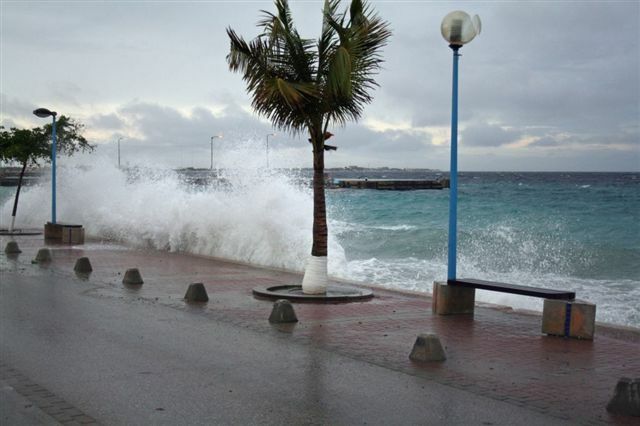 Barbados and Grenada have received up to 600ml in a short timeframe, as result of Felix. n Small boats need to be on land. Bigger boats need to be in the marina at “Jachthaven”. n It is advised not to be on the streets / outdoors as per midnight tonight. n The areas of Punt Vierkant and Belnem need to be especially alert, considering the fact that we will be experiencing wind from the south west. n Another press conference will be organized later today. This was sent to us by the GM of Tourism, R. Croes. My pet sitters are en route from Holland. My outdoor plants and furniture secured. I pray the ABC island’s are unscathed. Keep us posted Liz. With Annie off island, I thought I could help by posting some Bonaire information. 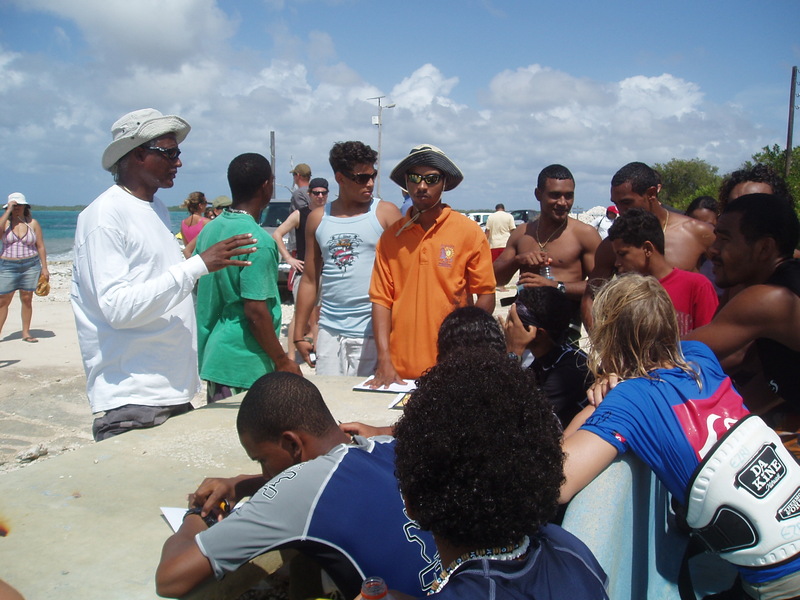 At 10:43 am this morning 1 September 2007, we recieved the following from the Tourism Corporation of Bonaire. Date: September 1, 2007 Time: 07:00 A.M. DISCUSSION: Tropical Depression #6 has strenhgthend during the night to Tropical Storm Felix. Felix is expected to continue to further strengthen in the next 24 hours. Due to the expected close passage of the storm, it has been decided to issue a Tropical Storm Warning for the ABC islands as from 5:00 AM September 1. EFFECT ON LOCAL CONDITIONS: Felix continues to move westward and is expected to pass closely to the north of the ABC islands during the morning hours of Sunday as a strong Tropical Storm. During its passage Felix is expected to affect these islands with mainly rough sea conditions and local heavy showers. Even though it is expected that the ABC islands will remain south of the Tropical Storm wind field, during showers some strong gusty winds may occur up to tropical storm strength. 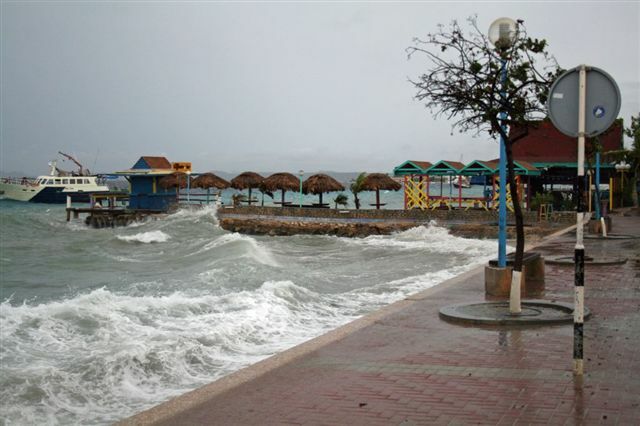 Owners of small craft and coastal facilities are advised to secure their properties. WATCHES/WARNINGS IN EFFECT: Tropical Storm Warning for the Bonaire, Curacao and Aruba is in effect. 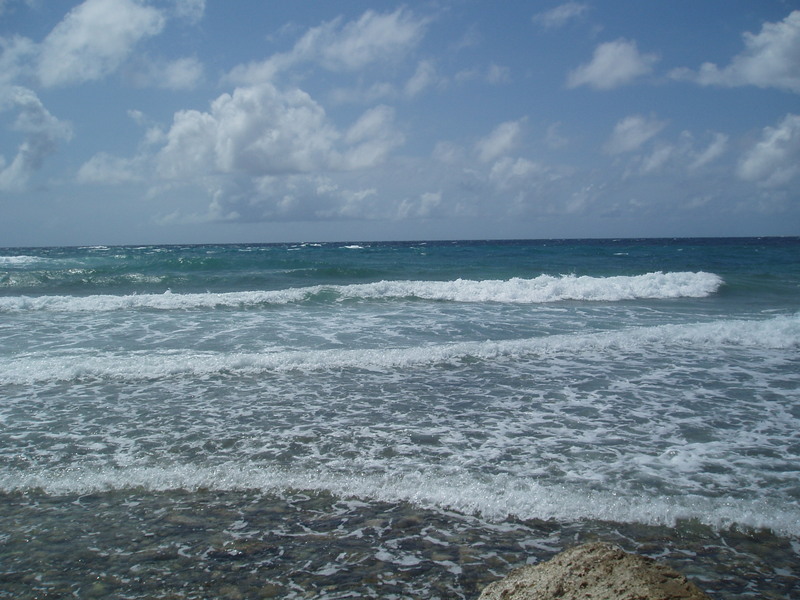 Small Craft Warning is in effect for Bonaire, Curacao and Aruba and surrounding waters . I will be keeping an eye today on flight arrivals and departures from Bonaire. We usually do not hear anything about cancellations until 1-2 hours prior to departure. In Puerto Rico waiting for a flight to Antigua. Having left the ABC’s I now see they may experience some heavy duty weather changes soon. Today in PR it is rainy and cloudy. I am hoping for better weather in Antigua. Weather spotters in Aruba and Curacao, keep us posted. T and T and the southern most islands may see some heavy rains. I am trying to do laundry and pack as I head to Antigua tomorrow..no luck. The skies are grey and we have had intermittent showers and wind reversals all day. Awell, such is life..I hope I see the sun in Antigua. 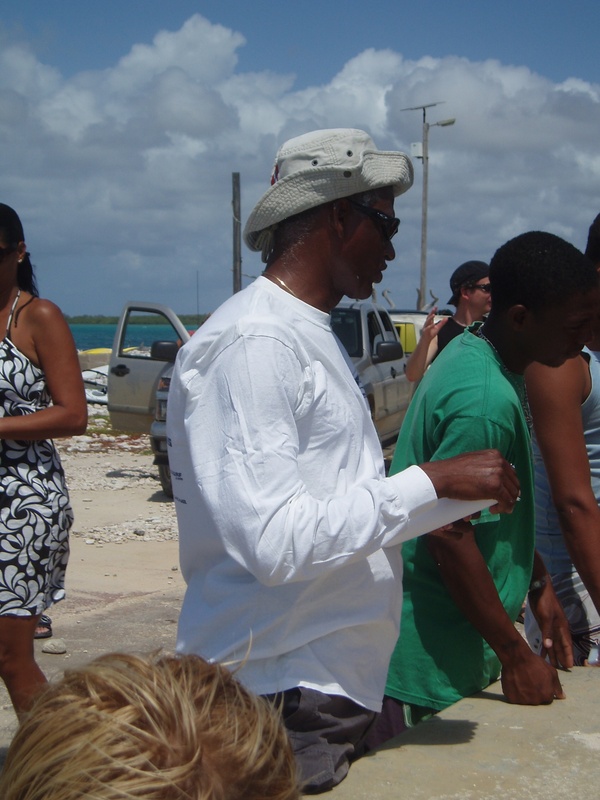 Work and play…gotta get off this rock, Bonaire. 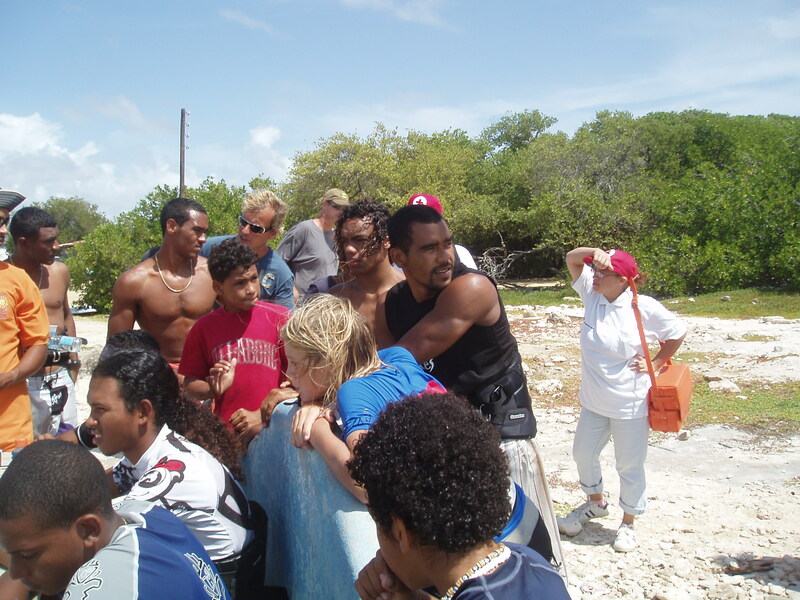 Older reports from Bonaire have been moved to another page.